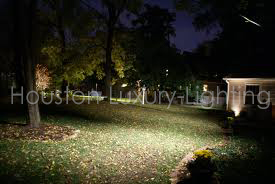 There are many landscape lighting tips and techniques to make your home look its best at night. Use our expertise to maximize for ambiance. 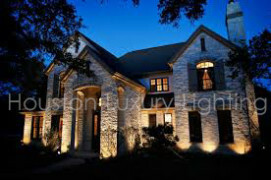 A combination of landscape lighting techniques are used at this front entry; up lights mounted in the planting bed illuminate the large shade tree; path lights installed along the edge of the pavement illuminate the ground plane; fixtures mounted in the eaves cast a wash of light downward on the brick face of the house. Contact us today to talk with one of our specialists, We are here to help!